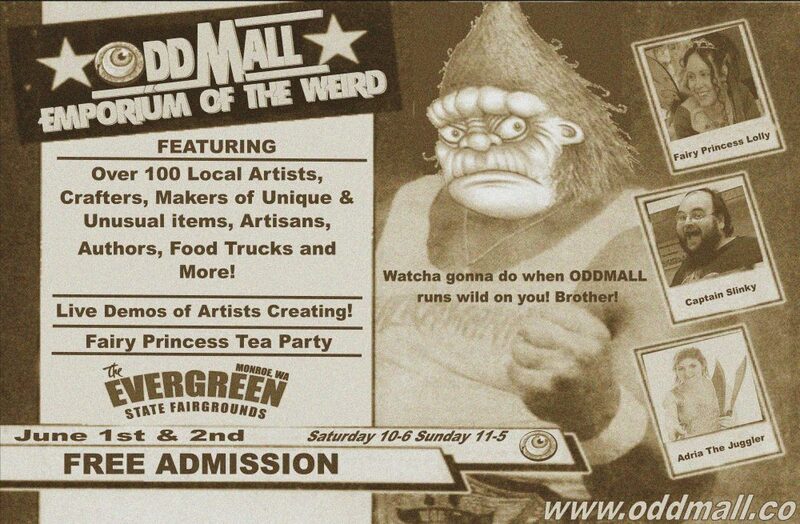 ODDMALL: Emporium of the Weird starts today at 11am!!! Where: Evergreen State Fairgrounds in both the Commercial and the Display building! What: Over 100 Artists, Crafters, Authors and purveyors of unusual things! Free Gift Wrap for you purchases!